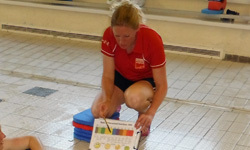 Swim coaching is back at Brecon Pool!! Our favourite coach Kylie Mansfield will be here on Fridays 7.30-8.30pm starting 9th January for 12 weeks, taking us up to Easter. Each session will be for one hour and we will need to be poolside and ready to start at 7.30pm. � to those thatt have completed previous blocks. � to those who want to book the whole 12 week block (occasional swimming will only become available if spare places are left). All 12 sessions £50. (payment in person on the first night 9/1/15). In the next couple of months we'll be placing a new order for Club Kit. The Club will pay 30% of the cost of each member's order. The kit is top quality and looks striking - great to wear and a great way of raising the profile of the club. We have many new members this year an we hope they will consider purchasing as a minimum order is required - always difficult for a smaller club. We need 10 of one item to be able to place an order (can be a mix of sizes/genders). We don't order kit that often so consider purchasing for next season too. The club will also pay the VAT and transport costs as in previous years. Please see the Carvalho site we use and the price list. Please ensure you order the correct size. The order will be submitted towards the end of February. Use the website contact form or post on Facebook to express interest. We are meeting at the Clarence Inn, Brecon at 6.30pm. All welcome - and a great chance to meet the many new faces in the Club. Lots on the agenda including Brecon Tri 2015, a Tri-Stars event, Welsh Athletics affiliation, kit orders, training requests etc. Please make an effort to attend as this is a big opportunity to progress the Club. Mark Sims in Club Kit! Congratulations to Mark Sims on standard (Olympic) distance GB qualification this September at Bala. As a result Mark will be racing in July for team GB in the 2015 ETU Standard Distance Triathlon European Championships in Geneva. Getting into the Age Group British team is a really special achievement so hats off and best of luck! 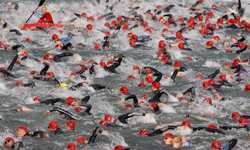 Click here for more information about the Geneva event and Age Group qualification. After gaining rave reviews in its first year DB Max are pleased to announce the 2015 event will take place on Saturday 20th June 2015 and entries are open now. DB Max have put up �500 for the first male and female over the finish line, and also �100 to the first male and female out of the water. Add in to that a King/Queen of the mountain competition up the fearsome 4 mile climb of Llangynidr Mountain to win the Polka Dot jersey and you have all the makings of a classic event and something for everyone. On top of that there will be plenty of spot prizes too. Venue For details on the venue and directions on how to get there, please click here. 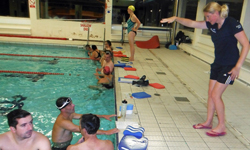 Swim For Tri workshops are for athletes of all abilities. There is no minimum or maximum swim ability requirement but please be aware it is not a learn to swim course. From the novice transitioning from breaststroke to FC for their first Sprint Tri to IronMen looking to break 50 minutes for the 3.8km swim. These intensive classes are ideal for those needing a major stroke overhaul. Further details about our workshops and us can be found on our website. Our favourite coach Kylie Mansfield will be here on Fridays 7.30-8.30pm starting 19th September for 14 weeks. 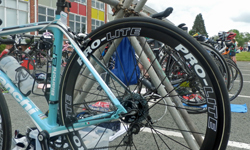 Congratulations to Catherine Etchell for clocking 223 miles in her first ever 12 hour TT (R12/95) last Sunday (31/8/14). This massive mileage earned the title of ladies Welsh 12 hour Champion! The circuits were centered around Raglan and Abergavenny and organised by the South Wales District. After finishing the ride Catherine said "l've never been so glad to get off my bike!" Top riding and a top result. Well done! 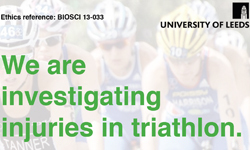 As part of the recently set up Arthritis Research UK Centre for Sport, Exercise and Osteoarthritis, a research project is being conducted at the University of Leeds into training patterns and injury in triathletes. The responses from the survey will be used to guide future research into training and injury in both elite and amateur triathletes. We will shortly be placing another club kit order. The kit is top quality and looks striking - great to wear and a great way of raising the profile of the club. The club will pay the VAT and transport costs as in previous years. Please see the Carvalho site we use and the price list. The order will be submitted towards the end of July. 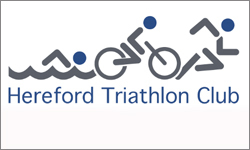 Hereford Tri Club's annual triathlon has moved to a new venue at Leominster Leisure Centre, Conningsby Street, Leominster, HR6 8LL. "We made the change as we were restricted as to what we could and couldn't use at Lucton School and we couldn't guarantee a safe and enjoyable race for the competitors." "The car parks, transition area and changing rooms will be open from 8am on race day. There are two very large pay and display car parks within 100 metres of transition. You can park at either the leisure centre or at Earl Mortimer College, South Street, Leominster, HR6 8JJ. The two sites are ajoining and the transition area is outside the college. Please make sure that you buy a ticket as normal charges will apply." There are an estimated 70,000 disabled children and young people in the UK waiting for a wheelchair that fits their young lives. Whizz-Kidz provides disabled children with the essential wheelchairs and other mobility equipment they need to lead fun and active childhoods. And at Whizz-Kidz, the wheelchair is just the start - they also run youth groups, wheelchair skills training, work experience placements and residential camps. The Johnson Quikdri tracksuit has towelling inside, waterproof peach microfibre on the outside, with zips up the arms and legs to enable it to go on easily over wet bodies. The design means it is waterproof and windproof. 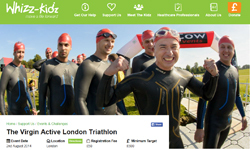 "Quickdri" are offering an introductory of 50% discount to tri club members for two weeks only (or whilst stocks last), in the form of a discount voucher code on the site Triclub50. There are more colours coming in, but they will be at the higher price. 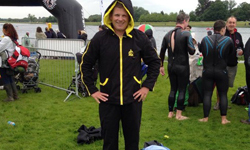 The picture is an open water swimmer who took part in the Eton Dorney 3k,5k,10k competition on Monday and commented on the tracksuit "it's amazing!" The website is www.quikdri.co.uk (the website was originally set up to market the product for small children, but the customer base has changed). Just a reminder that we are out riding every Sunday with Brecon Wheelers. Come and join us - 8am from from Brecon Leisure Centre. 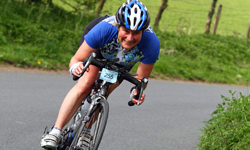 The Brecon Sprint Triathlon 2014. 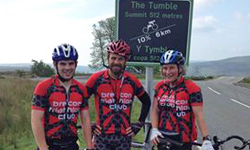 Photos taken above Talyllyn - the highest point on the bike course. Tip: If you wish to download a photo (to crop/photoshop etc.etc!) then do not right click and save. Instead use the photobucket download button. This will save a higher quality image to your computer - better for editing. We will photoshop some of these shots and add to a Facebook album soon. 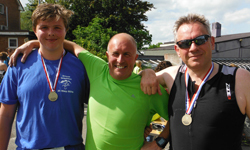 Congratulations to all triathletes who took part in the 2014 Brecon Sprint Triathlon. We still need marshals for the Brecon Sprint Triathlon Saturday 31st May. If there is anyone not signed up who thinks they could spare a few hours 12 till 4pm then get in touch via the contact form. 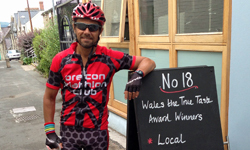 DB Max are organising two new Triathlons in the summer of 2014 and are offering a discount to Brecon Triathlon Club members. On Saturday July 5th, the Titan Middle Distance Triathlon is taking place in the heart of the Brecon Beacons. The venue is Parc Bryn Bach near Tredegar. The facilities at Parc Bryn Bach include Restaurant, Bar and Caravan and Camp Site located on the lakeside. 15 competitors plus - 20% Discount per person per entry. 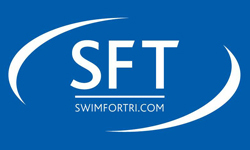 We are delighted to announce that instructed swim training with coach Kylie Mansfield will start on Monday, May 12th. 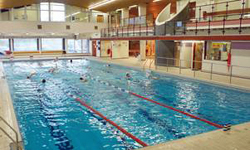 The club will have exclusive use of Brecon Swimming Pool on Monday evenings 7pm-8.30pm: instruction from 7-8pm with an extra half hour if anyone wants to stay on. Bank holidays will be excluded, thus 9 sessions in total. All are welcome to join us. 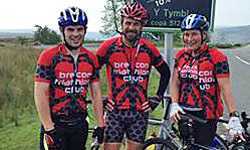 Brecon Triathlon Club is a friendly club with a range of swimmers from complete beginners to Iron distance competitors. There will be 4 lanes with slowest swimmers in the first lane, and more experienced in the last lane, so everyone will be training with swimmers of similar ability. We encourage booking for all 9 sessions as a block in order to provide consistent training which will result in measurable improvements by the end of the term. Pricing: All 9 sessions £30 (or single session £4.50). Booking and club membership (£5 annual fee) is required and payment on the night. Use the website contact form or post on Facebook. We will confirm your place by email or Facebook message. "Originally from London, I've been living in Hereford for nearly 5yrs now and have swum from an early age. I qualified as an ASA swimming teacher many years ago but more recently have been working my way through the BTF coaching programme. I'm happy to work with members to develop the swim sessions to meet their goals although all sessions usually contain a drills section as swimming is very technique based; the better your technique the more efficient your swimming!" We are hiring out Brecon Leisure Centre Swimming Pool for wetsuit training on Saturday 26th April for 1 hour - 4pm to 5pm. The session is for club members only and costs £2. You can join the club in advance or on that day by paying the additional annual membership fee of £5. - a chance to make sure last season's suit still fits! - try out your newly purchased suit? We will be structuring the session around open water skills (close contact swimming, drafting, sighting, turning), but feel free to train as you wish. 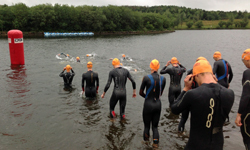 Bring your own wetsuit - which must be spotlessly clean - no pondweed from last year's events!! If you have a spare wetsuit or one to sell then bring it along for others to try. To reserve a place use our contact form stating member or non-member and also any training preferences for the session. (If you need to cancel your booking then use the contact form as soon as possible). This looks as though it is going to be a cracking local event. 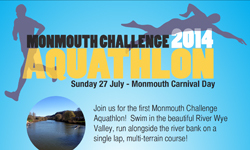 A chance to swim in the beautiful river Wye and run off road alongside the river. Adult and Junior races. 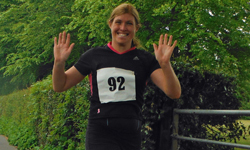 Adult distances: 1K or 2K swim then 10K run. Sensible start time - approx 10.30am! Brecon Leisure Centre are offering a 12 month swim pass for �120 (usual price �200) this March only. The pass is valid for 12 months from the purchase date. Single swim price is �3.60 so the pass is excellent value if swimming 3 times per month. Membership costs just �5 for the year and fees are due in January/February. Please download and complete our membership form (.pdf). Bring it along to one of our training sessions or post. 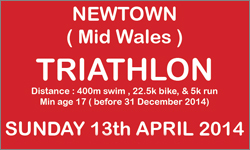 With the support of the Welsh Triathlon Association and Brecon Leisure Centre. Based at Brecon Leisure Centre track as usual starting at 6pm. 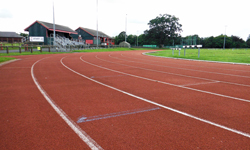 We share the track with Brecon Athletics Club. Same deal as usual - free for Club members, �2 for non members.